2) I’m getting married in a year and am super conscious of how I spend my money. I have no debt besides a mortgage in my name. My fiance is in about $80,000 of debt and I want to get this paid off before we have kids so we aren’t tied down to these loans. Do you have suggestions for the best way to attack this? I have about $10,000 saved up on my own, but want a portion to go towards fixing up the house I own before more damage can be done. Is it smart to do repairs on the house with my money or just focus on paying off his student loans? A “backdoor” Roth IRA is simply a tax loophole that currently allows people earning above the income limit for a Roth IRA to contribute instead to a traditional IRA (funded with already-taxed money) — and then convert that traditional IRA into a Roth IRA. The reason for doing this is so that a person earning too much to take advantage of a Roth IRA can still get into a Roth IRA, because they believe it will have a long-term tax advantage for them. This paper from Vanguard spells out the benefits, but it’s not all cherries and ice cream: It can sometimes end up costing you more in taxes. 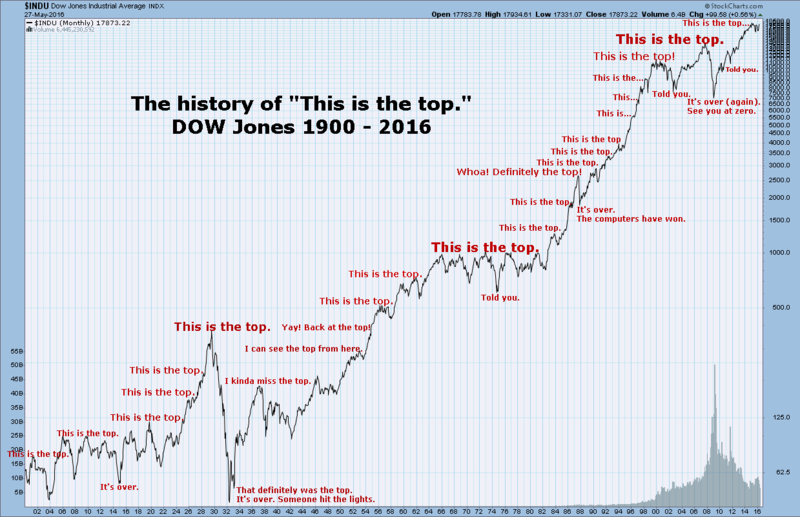 I don’t see how you can seriously tell someone to invest in stocks when they are at an ALL-TIME HIGH. It’s like you’re begging people to put money in and watch them lose it. How pathetic. To say that the market being at an all-time high is a sign not to invest is to both ignore the long-term growth in worker productivity and to believe that worker productivity will never be higher than it is right now. Worker productivity has been going steadily upwards since humans were gathering berries from bushes on the banks of the Tigris and Euphrates rivers. Since then, we have become steadily more and more efficient at the tasks of everyday life and at sharing information, and there’s no reason to think that will slow down.